Federal authorities say more than 20 people have been indicted on heroin and fentanyl trafficking charges in New Hampshire as law enforcement continues to battle drug trafficking and rampant addiction. Authorities say nearly all of the named individuals charged in this sweep have since been arrested or were already in police custody on other charges. DelValle Baez and Morillo are still wanted by police. In addition to the heroin trafficking charges, FNU LNU a.k.a Tony, a.k.a Edward Garcia, a.k.a Eric Guerrero was also charged in a separate indictment with two counts of fentanyl distribution and one count of conspiracy to distribute fentanyl. "Solving the opiate epidemic in New England requires a multi-pronged approach," Rice said in a statement. "Part of that solution is to prosecue individuals who are responsible for distributing heroin and who profit on the addiction of others." 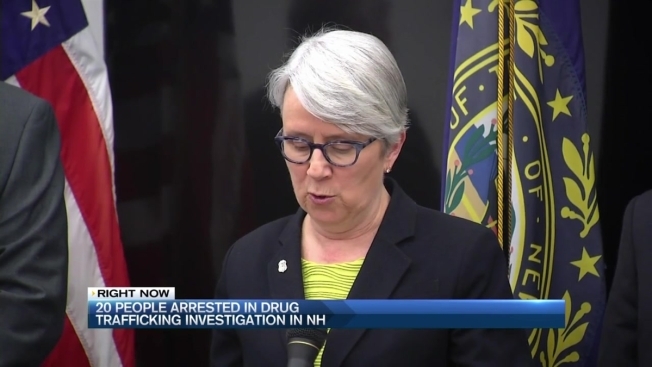 Drug trafficking and addiction has become a key issue in New Hampshire. More than 400 people died in New Hampshire from drug overdoses last year, and the state's chief medical examiner predicts the number will near 500 in 2016. Multiple federal, state and local agencies were involved in the investigation.